Born in Greece to a seafaring family, Nikolaos Doulis was destined for a maritime career. His father was a ship captain and eventually a ship owner, and to support the family business he wanted his son to have an engineering education. So at the age of 14, Doulis started spending more time in and around ships, in workshops, learning the technical ins and outs of ship machinery and systems. “This was the best thing to happen for my career, because I learned how to work,” said Doulis, who today serves as Senior Vice President, New Buildings, Lindblad Expeditions, the U.S.-based expedition cruise pioneer. While his father’s family business was the impetus for his technical career, by the time he graduated Aspropyrgos Maritime Academy in Greece with a BA in Marine Engineering, his father’s shipping company Pyrgi Chios Shipping Co. – which at its height owned 16 ships, including bulk carriers and ferries – had gone out of business due to the financial crisis. His father returned to sea as a captain and Doulis, who always had a fascination with the passenger vessel industry courtesy of summer jobs working on cruise ships, joined Celebrity Cruises in 1993 working as an apprentice on ships. Doulis work ethic and technical acumen was evident early on, and his career accelerated. By the age of 30 he had become Celebrity Cruises’ youngest ship manager, and by the time he left Celebrity Cruises in 2017 to join Lindblad Expeditions, he was the Director of Fleet Operations. While Doulis enjoyed a long and successful career with Celebrity Cruises, he felt there was something missing. For starters, Celebrity Cruises was a part of the Royal Caribbean company, but it did not grow and expand like the other brands. “Celebrity has a great technical team, but Celebrity was … at the time … ‘the poor brother of Royal Caribbean;’ we did not expand like Royal Caribbean,” said Doulis. “I saw that we were starting to lose good talent because we weren’t growing and offering new opportunities.” Eventually Doulis was a driving force in launching several of the company’s specialty cruise operations, including Celebrity expedition, Azamara Cruises and TUI Cruises. “One of the things that excited me most was the expedition cruising,” he said. 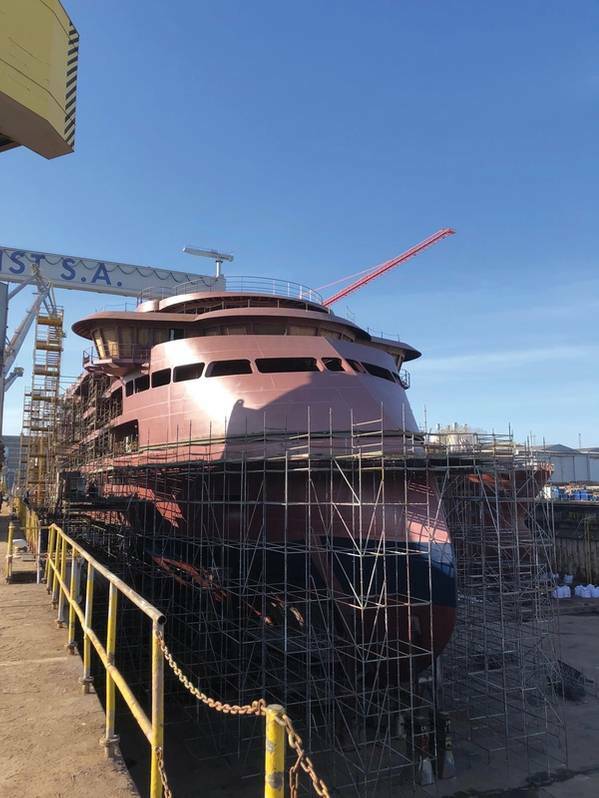 As SVP in charge of newbuilding, his mission is clear: “I am responsible for the newbuilding program of the company.” Today Lindblad Expeditions owns eight vessels and charters several more, with one newbuilding in the works for delivery in early 2020. Lindblad Expeditions in fact has two fleets, the American fleet and the international fleet. “The American fleet are ships built in the U.S., operating with American crew and U.S.-flagged,” said Doulis. The latest editions to this fleet are the National Geographic Quest & Venture built by Nichols Brothers Boatbuilders. The main differentiator in the expedition segment versus the larger, mainstream ships is the point of focus, as Doulis explains. With operations in some of the most remote and ecologically pristine locales on the planet, including a 35-day Antarctica cruise, delivering and returning passengers comfortably and safely with little environmental impact is the focus of Lindblad Expeditions. Central to is mission of operating safely and efficiently is the ship’s propulsion system. When selecting the propulsion system for this Polar Code 5 standard ice class vessel, Doulis said LNG was considered, but that it didn’t make sense for this ship at this time. 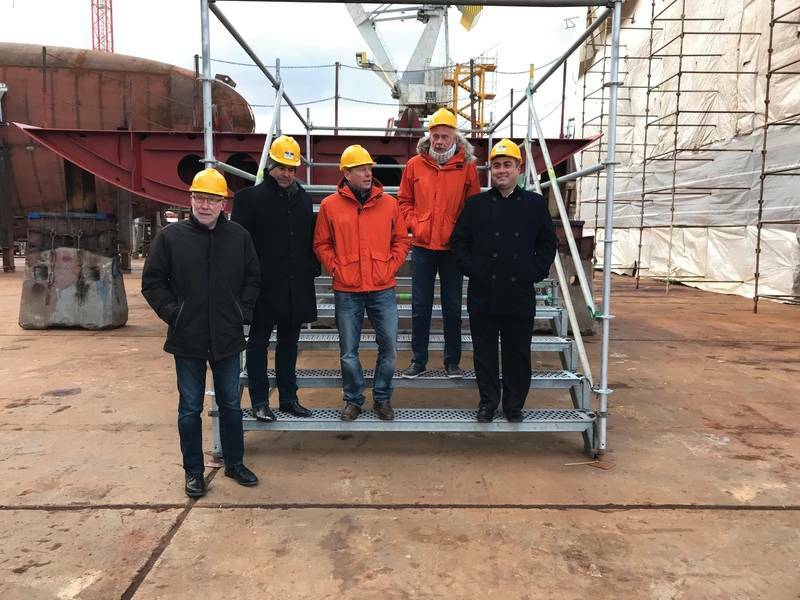 “We investigated LNG, but given the delivery time of the vessel we couldn’t find LNG supply in the areas we go,” said Doulis. 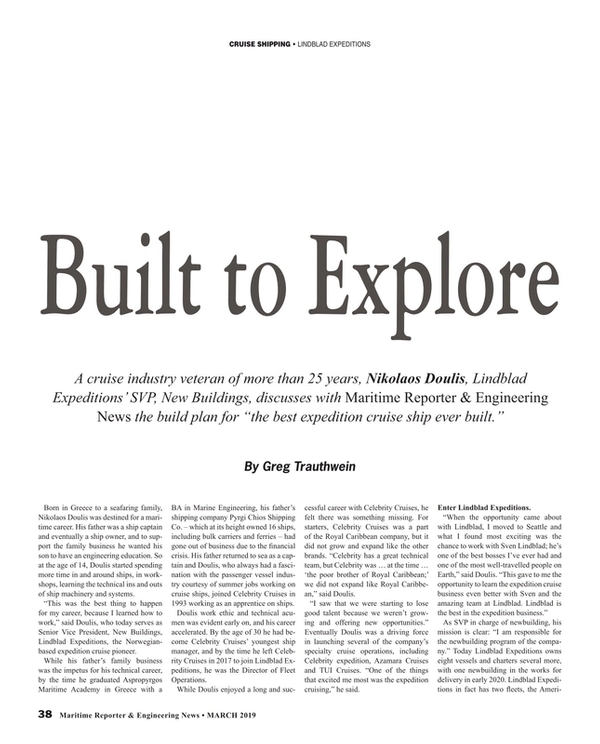 “Also, for our vessels, we have a redundancy allowing us to go 50,000 nm, and for a small vessel like that, the LNG tank size was an issue.” While LNG as fuel is not used today by Lindblad Expeditions, he foresees the mainstream take-up by bigger cruise companies in the not-to-distant future. “I think after a few years all cruise ships will be built with LNG fuel. This will be the next big thing in the cruise industry. Instead Lindblad Expeditions opted for a diesel/electric solution with GE diesel engines at its core powering ABB Azipods, a technology familiar to Doulis from his years with Celebrity. The GE engines that are both EPA Tier 4 and IMO Tier 3 certified, and in Doulis’ opinion “the most environmentally friendly diesel engines that exist.” In addition Endurance is based on the signature Ulstein XBow design, a design proven to increase fuel economy and passenger comfort, as the innovative hull slices through the waves to help reduce slamming and vibration.